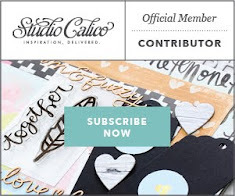 Welcome to the Studio Calico Inspires Blog Hop! 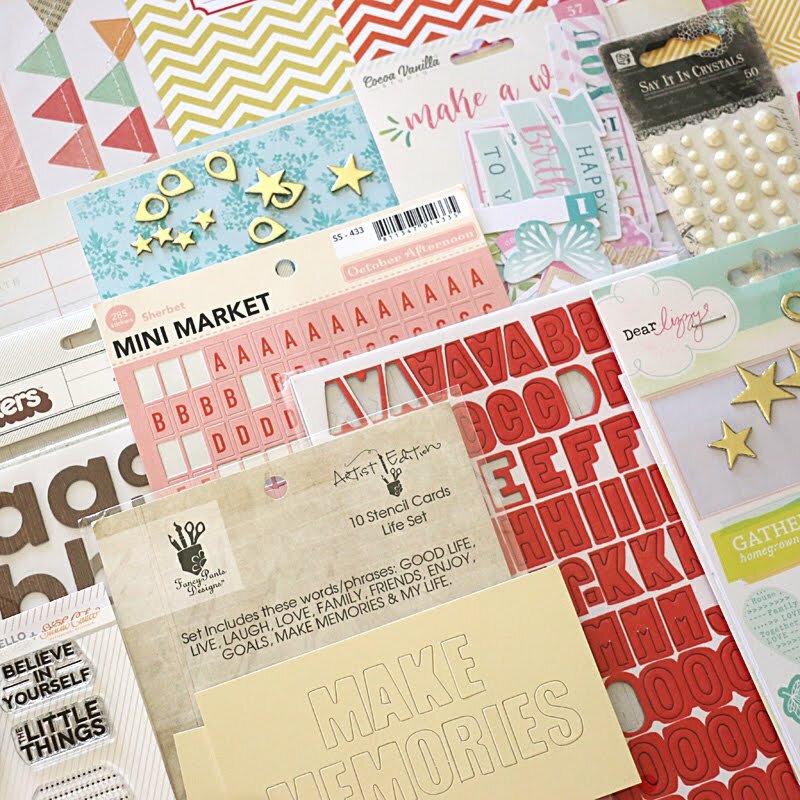 As part of this Blog Hop the Studio Calico Creative Team were asked to choose one thing out of The Underground Kits that inspired us. One thing??!! Impossible! 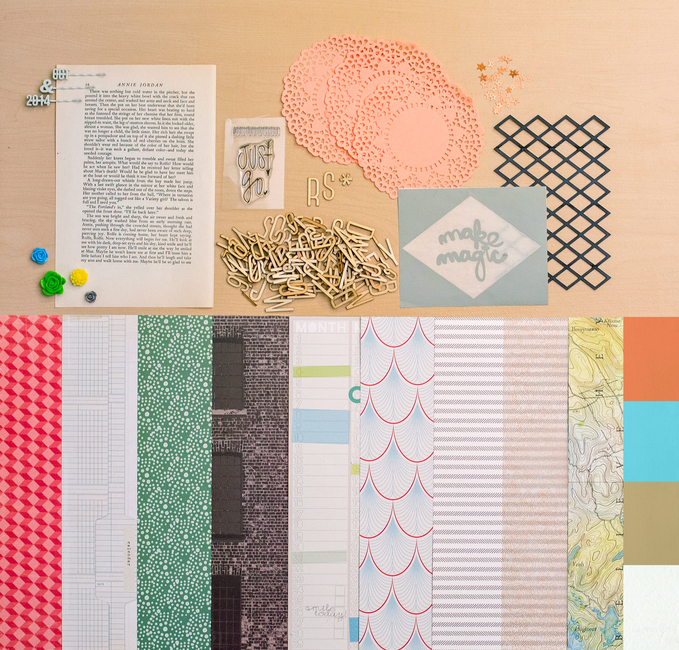 Just look at some of the goodies I pulled out of the kits to mix and match for this one project - they're all so gorgeous! I think this might just be the card to prove my point! Apart from the grey paper and twine, this is all from Piccadilly. I love that I don't need to think about picking products, all those difficult decisions have been made for me. I just get to concentrate on designing projects and playing with new techniques, and that's what I love most. I stamped and white embossed those flowers onto vellum before cutting them out and popping them up with foam tape. I used the sequins to cover the otherwise visible tape, and dolloped on the gold paint as is my recent addiction. Yes, this makes me happy! Now here's some great news that is bound to make YOU happy!! 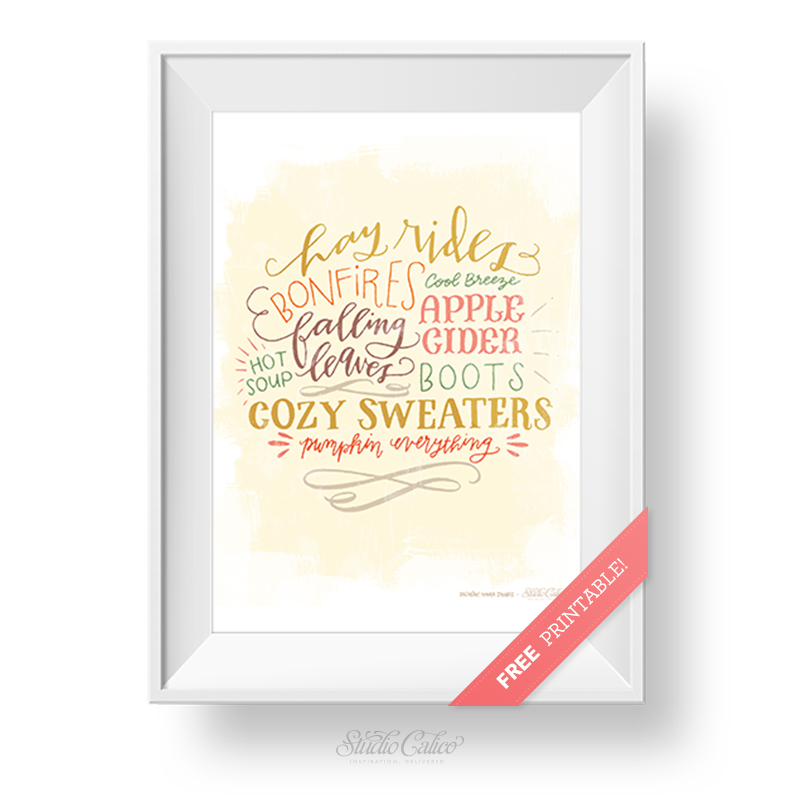 Firstly, Studio Calico is giving away a FREE printable to everyone who wants it! 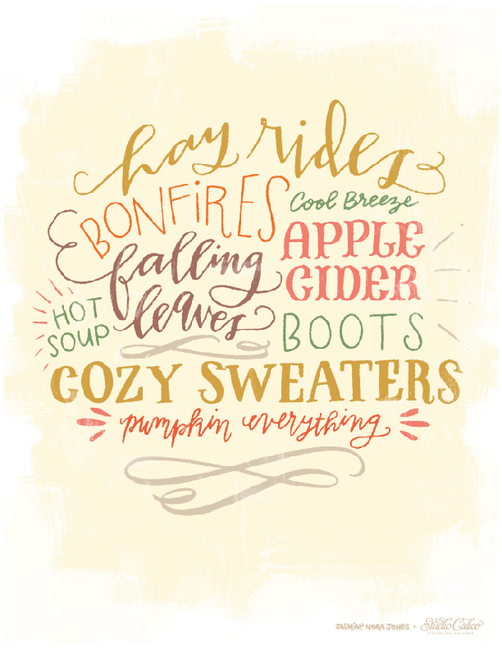 It's super cute and I can imagine this working equally well as a Project Life filler, a greeting card or a framed print. What do you reckon? 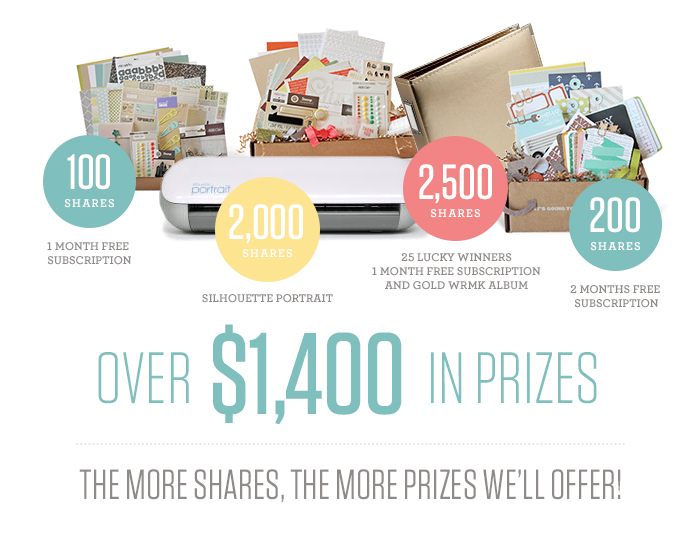 2,500 shares = 25 lucky winners will receive a Month Free Subscription WITH a Gold WRMK album! The shares will be added up and an update will be posted on the Studio Calico blog every Friday with the running total. The competition closes on October 31st at 11:59pm EST. 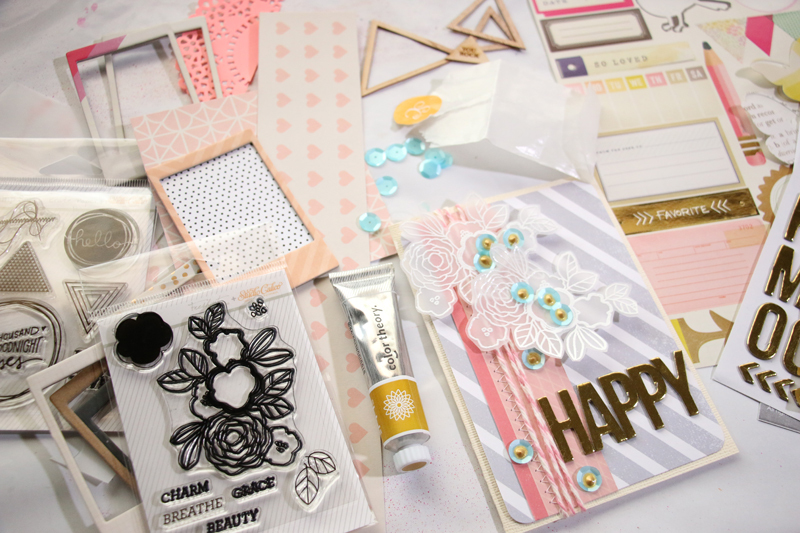 And last but not least, as part of my thankyou for stopping by my blog today I'm also giving you the opportunity to WIN your very own October Underground Scrapbook Kit! All you need to do is leave a comment here (including your SC username) and I'll draw a random winner on the 31st. Good Luck!! 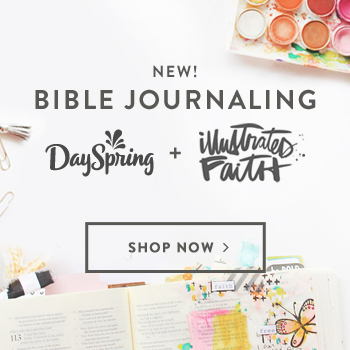 Now go forth and Blog Hop! The next person on your list of stops is the ever-amazing Dana Fleckenstein. Her cards blow me out of the water every single time. I can't wait to see what inspires her! PS. I also happen to have another Studio Calico giveaway running on my previous blog post ;-) Check it out here! 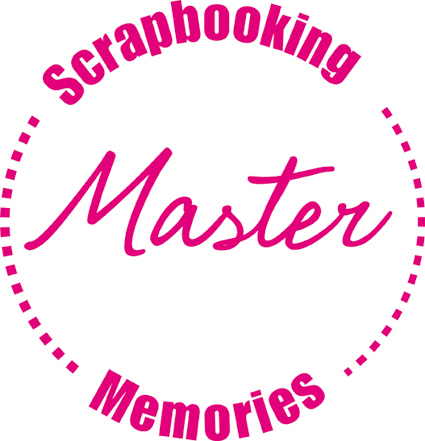 Thanks for the chance to win a SC Scrapbook Kit! Such an awesome kit, love the gold paint!! My SC user name is julielynn11. Thanks for the chance to win! This kit is awesome! Man, I love your card! Beautiful card! Never thought to emboss the white on vellum. And yes, I have to agree that I can't pick a fave either and I only purchased the Proj Life kit! LOVE this months!!! Forgot! Username: mixedmanda though I haven't gotten to posting stuff on my account. Thanks so much for the chance to win! Your work is stunning! 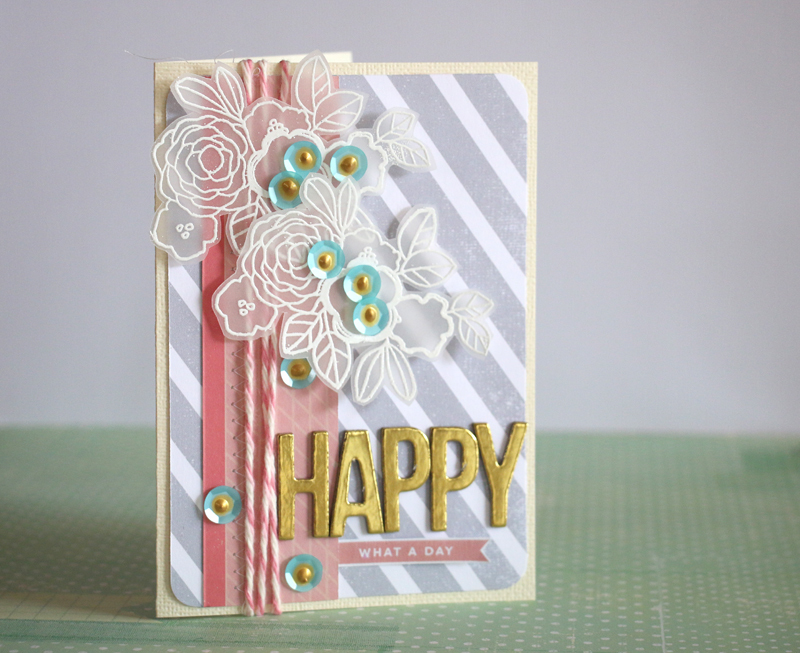 My user name is Rhonda N.
What a beautiful card, love your use of vellum! Thanks for the chance to win; username is lidohdee. So fun! Thanks for the chance! Beautiful job with the embossing! Wow that card is gorgeous! Well, what can I say? Thank you for the beautiful opportunities!!! My SC Username is cristybacchi89. I absolutely LOVE your card, and the white embossing is just awesome! Your cards are awesome! Thanks for the chance to win. 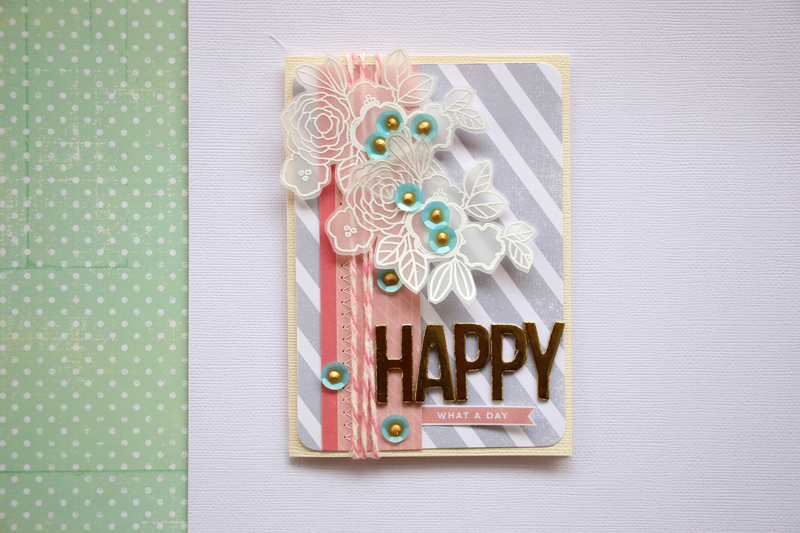 Love that card - especially the embossing on vellum and the sequins to "hide" the adhesive. 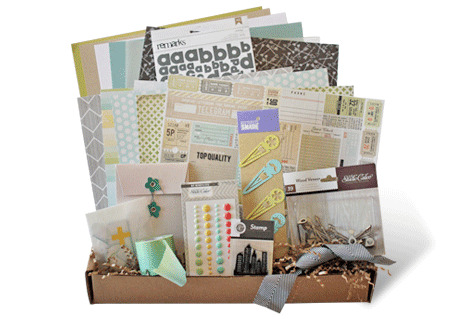 When I signed up, I never would have believed how much getting the kits every month would jumpstart my creativity. I am constantly inspired by interior design + graphic design :) I'm a graphic designer so I usually channel that onto my layouts! Those vellum flowers are "beyond gorgeous"! They are exquisite! Wow. 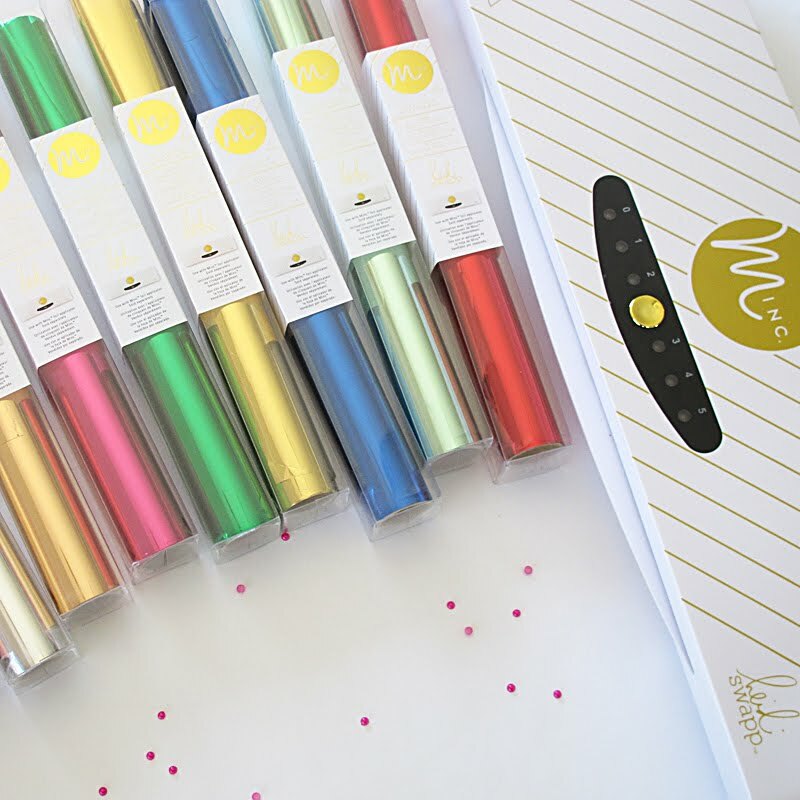 I would love to test out that Gold Theory Paint. It looks really rich. Lately metallic gold accents are inspiring me. What a fabulous card! 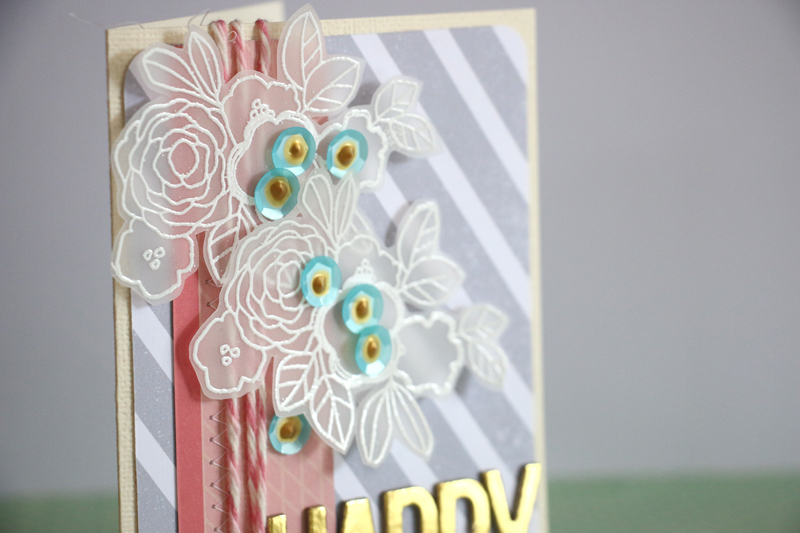 I love these colors and the white flowers on vellum + gold = wonderful!!! Thanks so much for sharing and for the chance to win! Im in Australia too and as it's spring over here and that definitely inspires me! Gorgeous card. Love those gold alphas! Thanks for the chance to win. My SC user name is Nina Chow. You couldn't have said it better! And I love your card! Beautiful card! So inspiring! Thanks for being a part of this really fun giveaway! Thanks for sharing this beautiful card! Thanks for the chanse to win. Puskis. So excited for the chance to win! thank you so much! What an amazing beauty of a card...there's something about vellum that makes me a happy crafter. craftycsj is my username, thanks for the chance to win! Such and amazing giveaway by both SC and you. Thanks for the chance to win. love love this kit and what you've done with the card kit! sc name is joyfull - thanks so much for the chance! thanks for the opportunity !!! what inspires me are the seals and the game that you can benefit ! My name is anixu SC . a big kiss! My SC username is CalamityCloe, thanks for the great giveaway opportunity ! love this blog, such wonderful inspiration. Thanks for this giveaway!! I love your IG feed, now I'm a fan of your blog! I really love the idea of stamping on vellum, got to try! Thanks for the giveaway! User name teabiscuit. Love the papers in this kit, and I would love the chance to have another set! Would love to win this, loved this kit especially the wood alpha! Great cards! 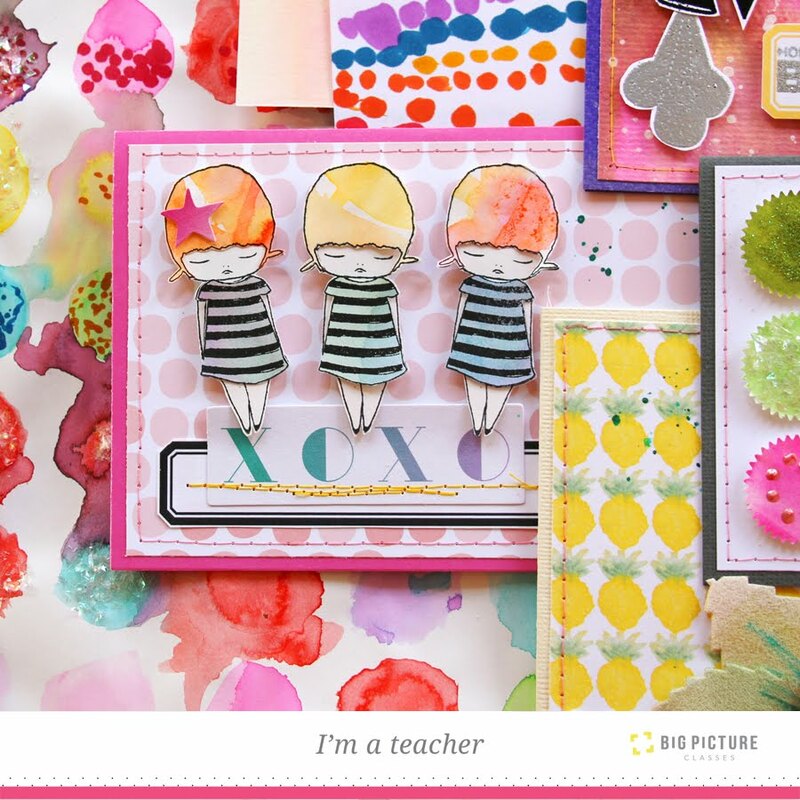 Studio Calico members inspire me! I love seeing everyone's heart on paper. It inspires me to stretch myself and be more creative! That embossing on the vellum is so gorgeous! And the sequins with gold really pop! My SC username is Laurakates. Thanks for the chance to win! 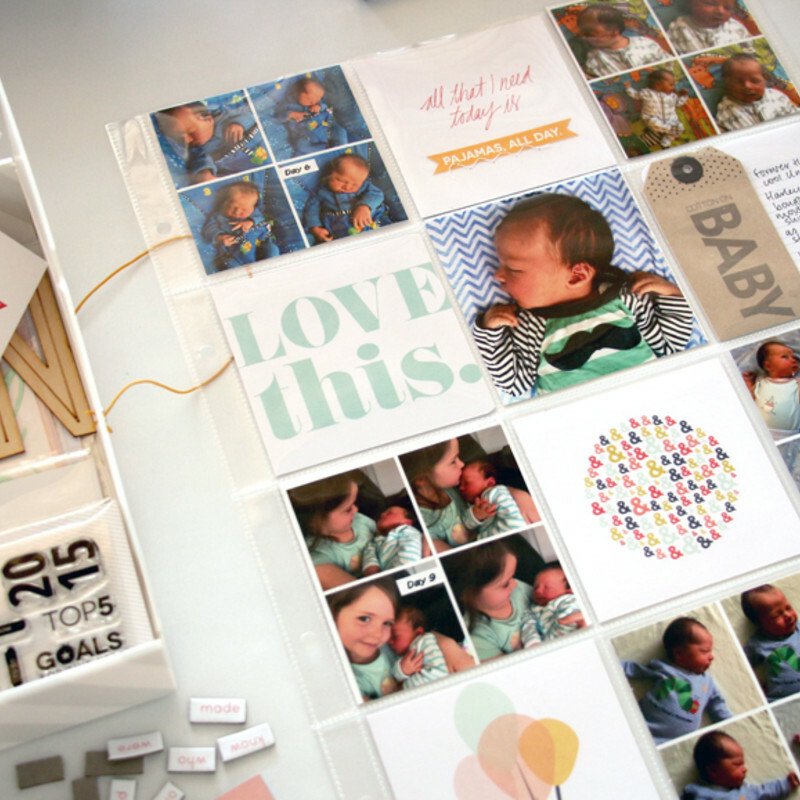 I find the SC member gallery super inspiring not to mention just sifting through all the gorgeous product fotos. My SC username is colletties. Such a pretty card; love the little blue additions.